They say that writing a book is a hard way to make an easy living. This is especially true for technical books, which tend to have a short shelf life. Update: The Web API team is planning to add this to v2. Please visit the Wiki and give feedback! While there is no batching standard built into the HTTP protocol, there is a standard for MIME encoding HTTP request and response messages ("application/http" with "msgtype=request" and "msgtype=response", respectively). ASP.NET Web API has built-in support for both MIME multipart as well as encoded request and response messages, so we have all the building blocks we need to make a simple batch request handler. 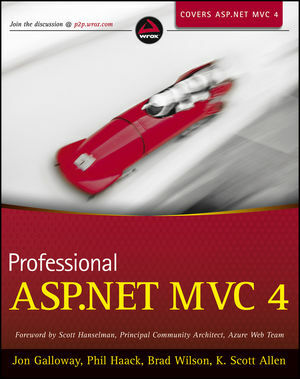 This is part 4 in a series on using Task Parallel Library when writing server applications, especially ASP.NET MVC and ASP.NET Web API applications. I know we left off in part 3 with a problem, but we're not going to solve it yet, because we still need to build some foundation helper classes that will make it easier to do that. In particular, there are some good practices we can codify around the creation and conversion of tasks that led us to write the TaskHelpers class that we use today in ASP.NET Web Stack. This is part 3 in a series on using Task Parallel Library when writing server applications, especially ASP.NET MVC and ASP.NET Web API applications. I promised that we had a bug in our previous code, and we did... sort of. Calling ContinueWith without any special flags will cause your continuation to always run, regardless of the final state of the task. We wrote our continuation under the assumption that the Task had completed successfully, which can lead to some very odd and hard to debug problems. Luckily, in our code, we ended up calling Result on the Task object, which turns around and throws an exception if the task had ended in a faulted or canceled state. But what if we'd had a Task rather than a Task<T>? Or what if we hadn't called Result? In .NET 4, this is considered a fatal error condition, and when the task object got garbage collected, its finalizer would've thrown an exception that takes down your AppDomain because you had an unobserved fault! Definitely not good. Why doesn't the validation attribute from IFoo.Bar apply to ConcreteFoo.Bar? The difference between base classes and interfaces in the CLR is responsible for this difference. The first edition of this book was written by some very impressive people, and it got terrific reviews. The second edition was mostly the same as the first. We took the feedback from the 2nd edition and decided that potential customers would appreciate it if we re-examined the structure of the book and provide as much new content as possible. I was one of the lucky on-campus people who got to do their mvcConf 2 presentation from the brand new Channel 9 studios, and now the video is online. You can download high quality WMV (for Windows) or MPEG-4 (for OS X/iOS/Linux). Slides are here, and code is here.